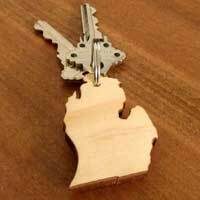 Designer Works LLC is a small wood crafting business that began in 2015 creating Michigan themed items such as keychains, coasters and wall art. Based in Ferndale Michigan, Designer Works stemmed from Sam Walker’s passion to create and build unique and beautiful items aimed at inspiring and enriching our surroundings. Sam personally handcrafts all of the items to guarantee quality. Customer satisfaction is his #1 priority! 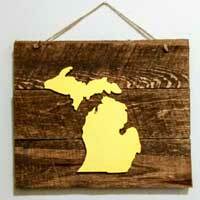 All of the products are high quality, Michigan themed items made from natural wood or reclaimed wood. 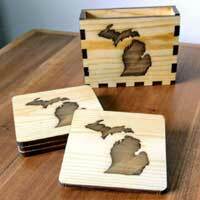 All of the wood crafted items can be massed produced to fill larger orders. 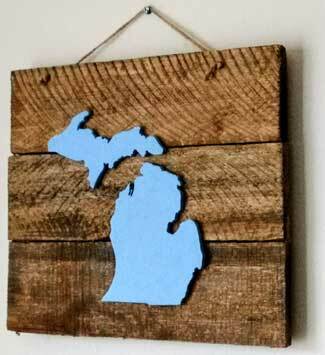 Reclaimed Wood Michigan Sign Available in 4 Colors or Custom. Buy Designer Works LLC Products Now!